Gretsch specifically developed the 10-ply Gretsch Formula Ash shell for a sharper, more aggressive sound characteristic but with a controlled sustain. We also offer these drums in 6.5x14 and 7x13 configurations to cover any situation. 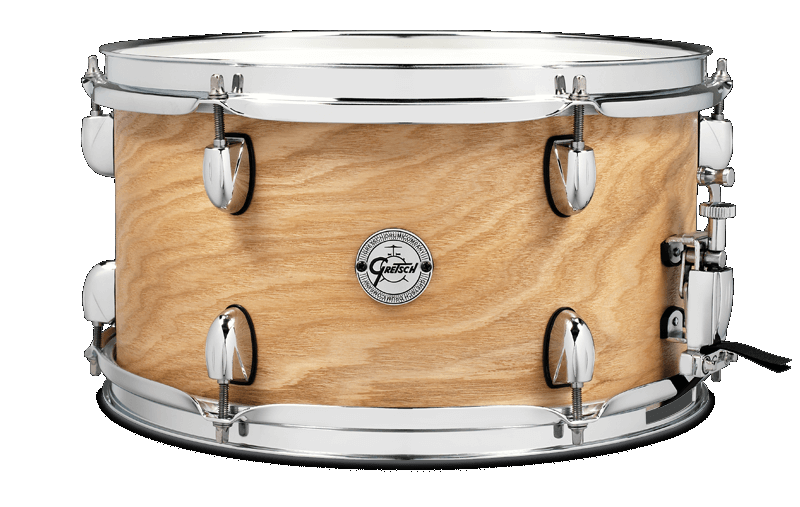 The visual aesthetic of the shell lets the true natural beauty of Ash show through, as no two drums look alike.